SYLACAUGA, AL. — The FarmLinks course in this little town about 45 miles from Birmingham already has a big reputation. 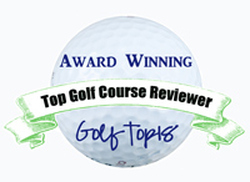 Golf Digest, Golfweek and the National Golf Foundation have recognized it for one good thing or another. Soon, though, things will be changing. Honours Golf, which managed the facility for 10 years, will be leaving and a new management team is coming in. Honours did a good job, but 81-year-old owner Jimmy Pursell wants to take his course in another direction. Pursell, who made a big impact in the fertilizer business, created the course as an agronomic research and demonstration facility. The course, designed by the highly-respected architectural team of Dr. Michael Hurdzan and Dana Fry, is just too good. 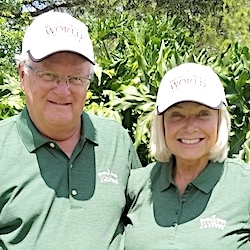 While the national golf publications have shown their respect, perhaps FarmLinks’ most significant appraisal came from the Birmingham News, which called it the No. 1 public course in Alabama in 2009. Golfweek had previously rated it “one of America’s best (public) courses” in 2004. With those accolades in mind FarmLinks is changing. That’s likely to happen sooner rather than later, and it’s already been listed among Golf Digest’s Top 75 Resorts, debuting at No. 39. I’m not one to take the magazine polls as gospel, and I think FarmLinks will eventually be considered much better than that. The biggest problem with FarmLinks is getting there. It’s an hour’s drive from the Birmingham airport, an hour from a regional airport in Montgomery and two hours from Atlanta. But once you get there you find a very special place. The course measures 7,444 yards and was the site of the Alabama Amateur championship in 2011, yet it’s playable for a wide variety of players. This year Golf Channel’s Am Tour paid a visit while we were there. Near tornado conditions the night before and a cold, rainy day didn’t detract from either our day on the course or that of the Am Tour competitors, who had become familiar with the course the year before. 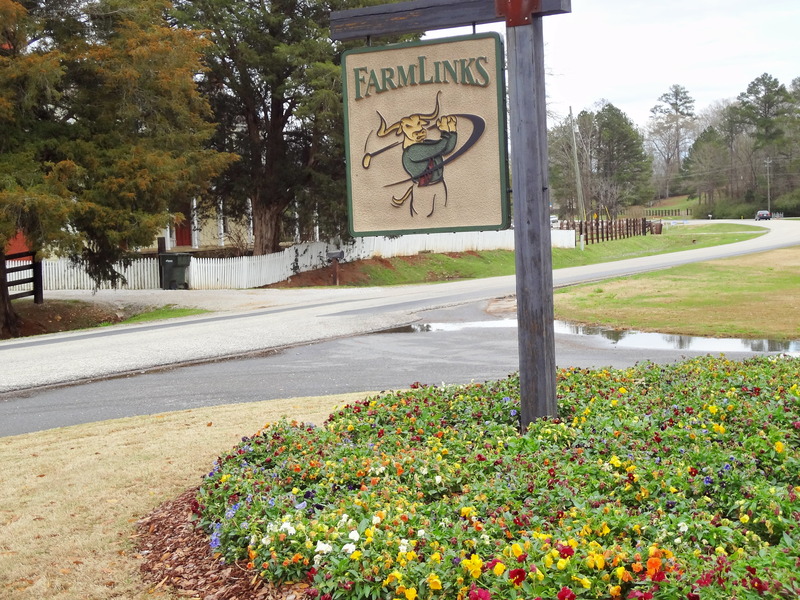 It’s not easy to describe FarmLinks, which will likely get a name change — to the FarmLinks course at Pursell Farms. That’d be a more appropriate name, since there’s much more to the place than the extraordinary golf course. It has its conference center with high-tech meeting rooms in an out-of-the-way setting, making it a productive business retreat as well as a vacation option. But it’s also been a site for the First Tee program the last three years. However you get to FarmLinks, you arrive at an impressive entrance. A windy two-mile drive is required to get from the guard gate to the clubhouse. While the food is top-notch, the staff is just getting prepared to host big events. It doesn’t even have a liquor license yet (that’s expected to be acquired by May). Pursell, a man with strong religious beliefs, isn’t changing his own lifestyle nor that of his family. His son David is chief executive officer of the facility and son-in-law Tim Spanjer is director of marketing. But, underscoring the overall name of Pursell Farms, the place is being given a more resort-like feel. Pursell has 3,500 acres available, and quail hunting, fishing, hiking, horseshoes and five-stand clay shooting are established offerings. Horseback-riding and hayrides have been added recently as has a working relationship with a Birmingham spa. More resort offerings will be added soon. Stay-and-play packages got a big boost in 2009 when guests could enjoy new cottages and cabins, each comprised of four suites, a shared great room and outdoor patio areas with views of lakes and mountains as well as the golf course. Ours, at the Jones Cabin, offered a putting green just off the patio. Now there’s also a Golf Academy on site, headed by Layne Savoie, who had coached collegiately had Arkansas and Florida State. FarmLinks maintains its claim as “the world’s first and only research and demonstration golf course,’’ and will continue to welcome more than a thousand superintendents from all over the world to The Experience — an educational program that showcases the industry’s best products, services and equipment. 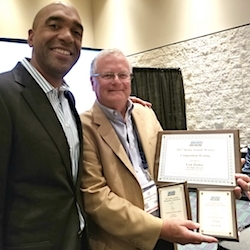 In the past golf industry professionals have learned about advanced technologies and turfgrass research thanks to partnerships with several top manufacturers via roundtable and focus-group meetings. That won’t change. Neither will FarmLinks’ involvement with various ministries. A large prayer group is booked at the facility in early May. But there’ll be more weddings and other gatherings mixed in with the great golf moving forward.